Virtual classes with the participation of our foreign partners have already become a good tradition in the Caspian Higher School of Interpreting and Translation, and the beginning of a new semester is not an exception. On January 28, the School held the first VC of 2019 with experts of the Directorate-General for Interpretation of the European Commission. 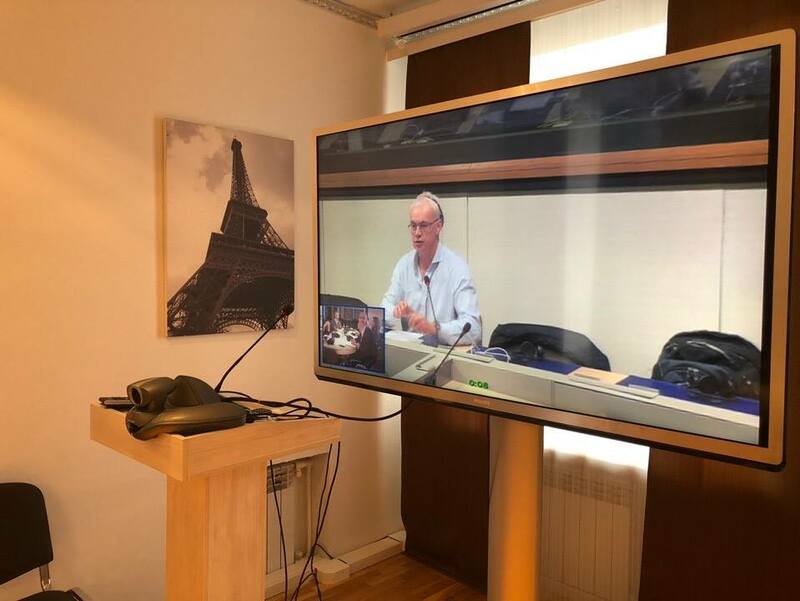 Michael Somers delivered a speech from the European Commission’s side, while Uliana Savelieva and Elena Yakovleva were speakers from our School. The topics of speeches were very diverse, and, as always, relevant and creative. For example, Uliana Savelieva prepared a speech, where in a lively and ironic manner she spoke not just about love, but about love for an interpreter. This subject was particularly relevant on the eve of St. Valentine’s Day. The trainer also focused on inevitable difficulties in relationship with an interpreter — after all, even watching a movie risks to become an analysis of translation mistakes and inaccuracies. Everyone appreciated the choice of the topic and agreed with the arguments given by the trainer of the Caspian School. In his speech, Michael Somers answered a crucial and pressing question: what is the place of books – both printed and electronic – in our life? And Elena Yakovleva touched upon perhaps the most high-profile media event of the month: the record number of “likes” that the photo of an ordinary chicken egg has collected on Instagram. The trainer also highlighted deep social meaning the idea laid behind this photo. Both first and second year MA students attended the virtual class. The students had the opportunity to comment on each speech and their own interpretation. 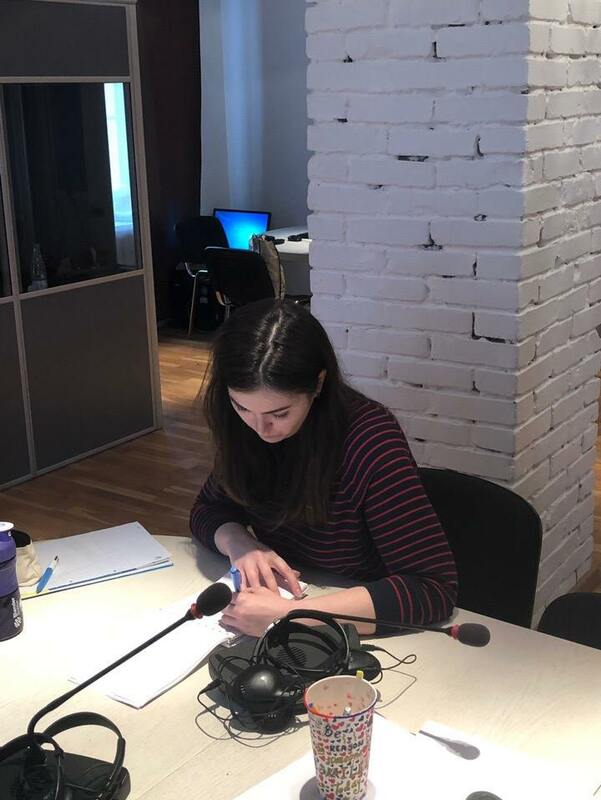 The Caspian School trainers and our colleagues from Brussels commended the students’ level and gave valuable advice on the register of interpretation, the selection of synonyms and proper rendition.